E.O. Wilson Of Ants and Men - Jackson Wild: Nature. Media. Impact. The story was inspired quite simply by Ed Wilson’s remarkable career that has spanned so many years and so many fields of science. He is genuinely one of the most inspiring scientific thinkers and writers of our time, a true American original. I had been aware of his work for many years. As a Ph.D in Anthropology, I well remember the furious controversy around the discipline he created, Sociobiology. The chance to actually work with him was irresistible. Probably the greatest challenge came from Ed’s frail state of health. He was just not able to be involved in active sequences and could really only do sit-down interviews at the various locations we filmed in – though he was game for travel and an unfailingly charming interviewee. So the challenge was to create around this rather static set-up a style of filming and story-telling that was dynamic and engaging. My first step is to understand and portray the core science and ideas accurately. That is the foundation on which everything else rests. Then the challenge is to weave those into a narrative that compellingly conveys their significance to a general audience. In this case, I decided that the narrative arc of the film should be conveyed the story of Ed’s life, which is so compelling and fascinating in itself. 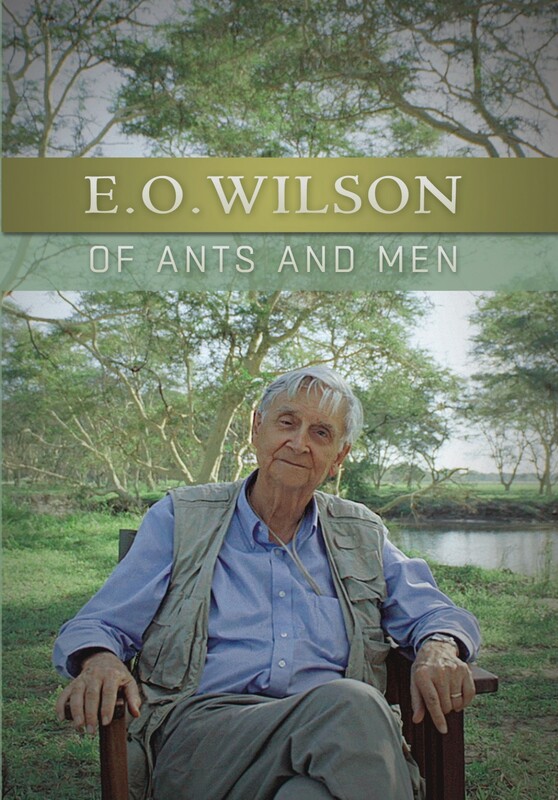 I hope this film communicates to a large audience the passions that have moved EO Wilson’s life. Probably the greatest of these is an abiding love of the natural world, expressed with such eloquence and fervor throughout his career. I hope the film inspires people to read more of EO Wilson’s work and allow themselves to fall in love with the natural world just as he has. I think the most powerful experience was our filming with Ed in Gorongosa Park, Mozambique. The place and setting somehow inspired him to beautifully express and bring together all the disparate parts of his thought and passions: The natural world, conservation, the processes of human evolution and the instincts and emotions it has instilled in us. Anything else you would like people to know?I would like people to know that, as Ed Wilson reminds us, the fight to maintain the natural world and wilderness areas is the greatest challenge of our time and so worthy of our attention and effort. I am developing a number of very different projects at the moment across the fields of ancient history (Alexander the Great, The Maya), conservation and drama. I still donlt know which will be first out of the gate! Why did you pick ­­­­­­ to be the on­ camera host telling this story?